EU citizens along with nationals from Liechtenstein and Switzerland only need a residence permit to work in Germany and enter into an employment contract - a work permit is not necessary. However, these citizens must register with the local authorities within three months of their arrival. Non-EU citizens, on the other hand, need a visa and work permit to stay and work in Germany. The type of work permit issued corresponds to the kind of residence permit which has been granted. Applicants will be assessed on the type of work they are looking for - unskilled, skilled or highly skilled. Moreover, work permits are issued on an individual basis only, and accompanying family members need to apply separately. The Schengen visa is valid for short-term visits that will not exceed 90 days. Foreigners holding this type of visa are required to leave the country and re-enter the territory to extend the validity of their stay. A tourist visa is a variation of the Schengen visa. Holders of this permit are also allowed to freely travel to 25 European signatory nations of the Schengen Agreement. The Type D National Visa is issued to foreign nationals who are to be employed in Germany. This is valid for 3 months and must be converted into a work permit upon arrival. An additional requirement for foreign workers is a residence permit from the local Alien Affairs Office. It is processed within three months and is renewable annually. Take note that expats who have a Type D visa are required to apply for a residence permit within one week of their arrival at the local Einwohnermeldeamt (registration office) near their area of residence. 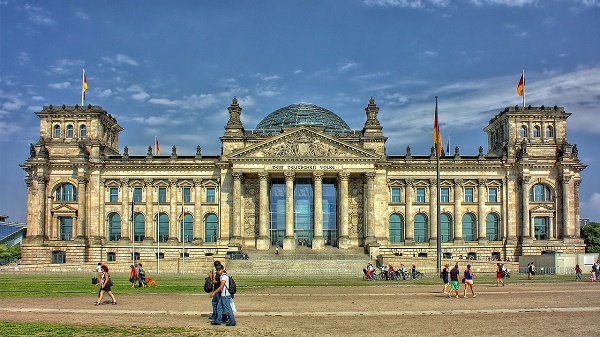 After five years of continuous stay in Germany under a temporary residence permit, an expat will be eligible for a permanent residency upon meeting all requirements such as a clean criminal record, secure income and above average command of the German language. Foreign nationals can refer to the list of documents below but it is still best to contact the German Ministry of Foreign Affairs for in-depth instructions and visa application requirements. Citizens of non-EU states need to apply for their work permit in their home country along with the visa application. Expats who have a firm job offer from a Germany company have higher chances of getting a work permit since their employers can help them with the immigration process or provide a contract for intra-company transfer. EU citizens are permitted to work in a self-employed role in Germany after they sign up at the registry office (Einwohnermeldamt). A non-EU citizen can also start a business, but is subject to certain conditions, and must apply for a German settlement permit (Niederlassungserlaubnis) from the Office for Foreigners. Workers also need a tax card (Lohnsteuerkarte) and a social security number (Sozialversicherungsnummer).